Breakfast, they say it’s the most important meal of the day and I would have to agree with the authorities that say so! I love breakfast, I love breakfast so much that I not only eat it for breakfast but also enjoy breakfast foods for lunch and dinner! My husband is basic and only likes eggs and bacon, I on the other hand love it all! French toast, pancakes, quiches, eggs, bacon, sausage, you name it I like it! I love making breakfast foods at home but it’s always so much better when mom or someone else makes it so we like to venture out for breakfast on the weekends. 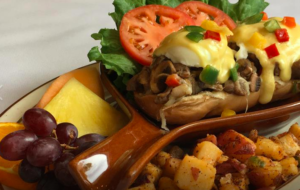 With all that being said here is a list of some of our favorite breakfast establishments in the Wake Forest and surrounding areas. If you are hungry on the weekends or even during the week be sure to check some of these places out! Stewart’s has a super cozy atmosphere with the most friendly staff! In addition to their fantastic coffee (which they will refill dozens of times for free!) and amazing waffles, they also have quick bites like muffins. This is a great spot to grab a quick breakfast or flavored latte, and you’ll often find people having small business meetings here as well. 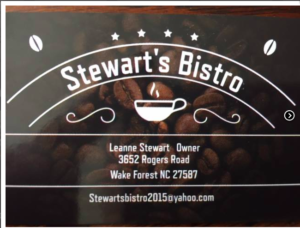 Stewart’s is really a Wake Forest staple. So much to say about this little hidden treasure! If you are looking for traditional diner style breakfast this is the place to go. If you are looking for pastries you’re definitely going to need to stop in and try the apple cider donuts. Our team celebrates most of our milestones with donuts from Main Street Grille! 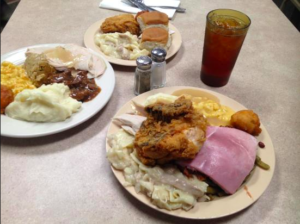 Rolesville Diner has your traditional diner fare, and it is oh so delicious! If you don’t go early, be prepared to wait, as this is a hot spot for locals. 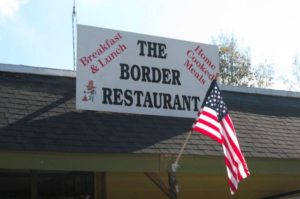 The Border Restaurant is another old time diner type restaurant with quick and delicious food! Be sure to try the biscuits as they are fantastic! Brigs is a family favorite in our house. They’ve recently updated their menu and now offer the ever popular avocado toast! Along with traditional breakfast items they also have an assortment of Eggs Benedict which are delicious! You absolutely must go early on the weekends as Brigs does get busy and sometimes there is a wait up to an hour long, but trust when I say it is worth the wait for a delicious breakfast. The Fork’s serves a traditional breakfast Monday through Saturday but Sunday is the day to go to experience the Sunday Buffet! The buffet is amazing so bring your appetite! Tucked away in the popular Raleigh neighborhood of Bedford in Falls River, Cafe Buongiorno’s is a great little cafe for a simple breakfast. If you wish to forgo traditional breakfast be sure to try one of their pastries with a warm cup of coffee! The best part? They serve wine, beer, and REAL homemade gelato! This is definitely a place to add to your list if you haven’t been. Currently First Watch is just outside of Wake Forest in the Triangle Town Center plaza, although we’re getting our own First Watch near The Factory VERY soon. I’d like to suggest you try everything on the menu because you will not be disappointed but if you’re undecided I’ll suggest the Farmhouse Skillet and Million Dollar Bacon, both so so delicious! Another awesome dish is the Lemon Ricotta pancakes – made with ricotta for creaminess and topped with a dollop of lemon curd. Get here early as this place gets busy! 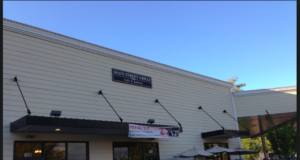 Driftwood is in Layfayette Village off Falls of Neuse, and the shopping center itself is one you can spend half a day in easily. 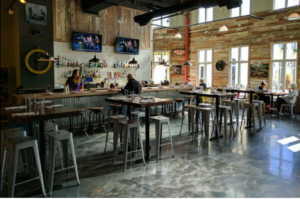 As far as Driftwood goes, the Sunday brunch is worth saving your appetite for and checking out, and they have amazing dinner selections as well. 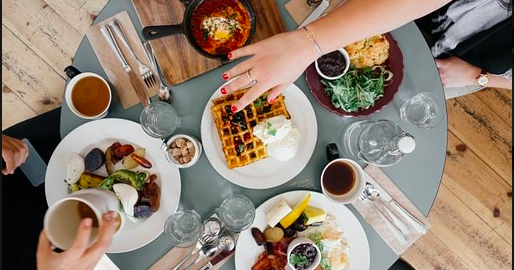 There you have it – my top picks for breakfast in and around Wake Forest. Did your favorite make the list? 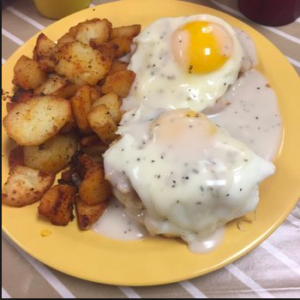 Did we miss an awesome breakfast place in the area? Is there an item at any of the places mentioned that you absolutely love and others must try? Comment below and let us know! Ice Cream in Wake Forest! this is interesting, I might need to try these out! Let us know what you think, Jasmine!